CCS's 2018 Gender, Equity, Diversity and Inclusion (GEDI) Committee. 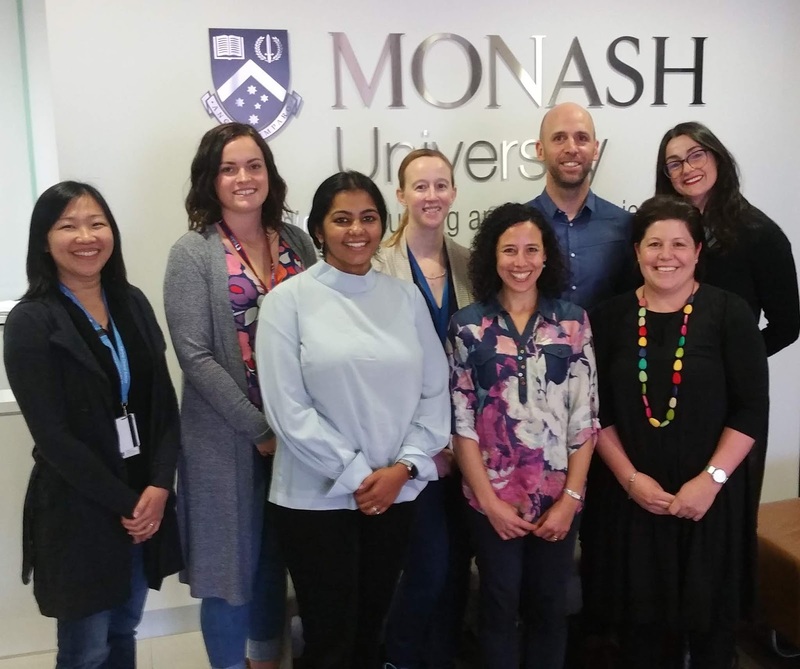 L-R: Dr Min Tan, Ms Amy Searle, Dr Maithili Sashindranath, Dr Kim Murphy, Dr Caroline Gurvich, Dr David Wright, Ms Ashleigh Clarke, Associate Professor Anneke van der Walt. The committee's email is ccs.gedi@monash.edu. The CCS Gender, Equity, Diversity and Inclusion (GEDI) Committee represents the CCS at both Faculty and University levels, making recommendations about initiatives, policies and procedures pertaining to diversity and inclusion that are relevant to CCS. All welcome to the 2018 Surgical Research Forum - Innovation for better patient care, being held on 26 July. See details below. The forum is followed by a public lecture being given by Mr James Lee (pictured), a passionate advocate of using research to improve surgical practice. 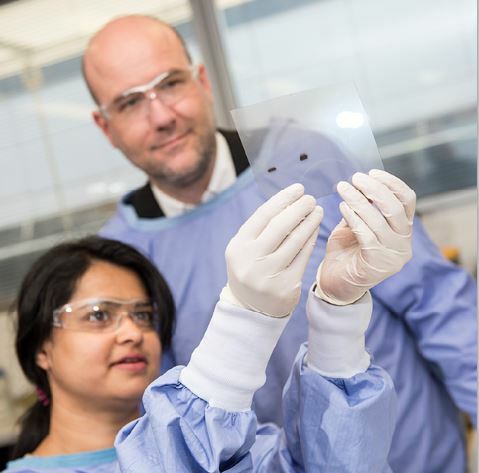 The emerging field of nanomedicine holds great potential for biomedical discovery and for new forms of treatment for diseases such as heart conditions and cancer. Nanoparticles can fly under the radar of the immune system, which would otherwise identify them as foreign and destroy them, to reach their intended target. They can be used, for example, to efficiently transport a drug to the specific site of disease. But because the field is so young the possible side-effects of sending these tiny structures into the human body are still unknown. Congratulations Eric Chow and Kit Fairley on GSK Immunisation Grant! Congratulations to Dr Eric Chow and Professor Kit Fairley, of the Melbourne Sexual Health Centre, on winning the GlaxoSmithKline (GSK) Immunisation Grant award! 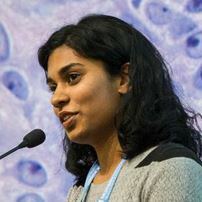 The award was announced at the Public Health Association of Australia (PHAA) 16th Immunisation Conference in Adelaide on 6 June. The grant will be used to improve hepatitis A knowledge and vaccination coverage among gay/bisexual men. 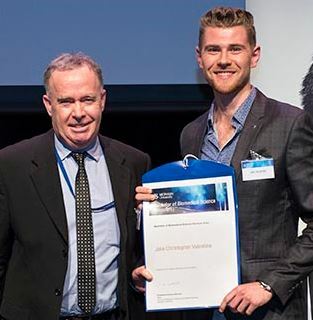 Congratulations to Jake Valentine, who was the recipient of the Bachelor of Biomedical Science Honours Prize a few weeks ago for the highest aggregate mark in the Bachelor of Biomedical Science (Honours) degree! Jake completed his thesis in 2017 at Central Clinical School (CCS). It was titled: Population-based analysis of the disease burden and hospitalisation costs of invasive fungal disease among patients with haematological malignancies in Victoria, 2005 - 2016.